My family and I are very big fans of going to zoos and aquariums. When we go on vacation, we usually end up visiting the local zoo or aquarium as part of our trip. We are also members of our local Kansas City Zoo and we love to spend time there visiting the animals. 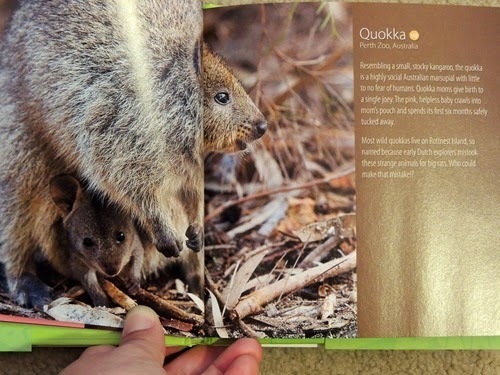 Because of this, I knew our family would love the book ZooBorns Motherly Love: Celebrating The Mother-Baby Bond at the World’s Zoos and Aquariums. Perfect for Mother’s Day, these heart-melting photographs explore the special role mothers play in our lives: they do more for us than they do for themselves, worry about us more than we’ll ever know, and love us more than anyone else can…no matter their species. By highlighting these adorable and recognizable moments, from a sea otter cradling her newborn pup to a lioness gently tugging her cub back to her side, ZooBorns connects you to the animals featured here and builds awareness for the challenges these species face in the wild. Remember, these babies are are ambassadors for their species, helping educate about conservation while they entertain. 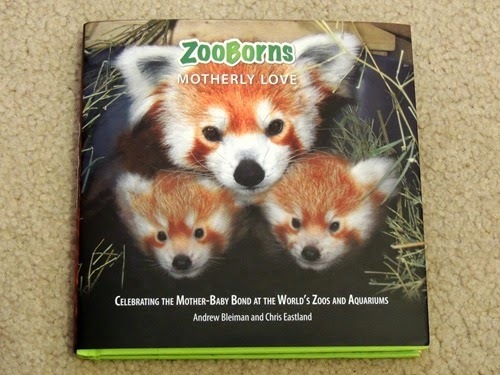 In fact, 10 percent of all ZooBorns’ revenue from the sale of these books goes directly to the Association of Zoos and Aquariums’ Conservation Endowment Fund. Help us educate readers about conservation and cuteness! I love the smooth, bright pages of this book. I can definitely imagine sharing it on a coffee table, and this is the sort of book that both kids and adults will love. 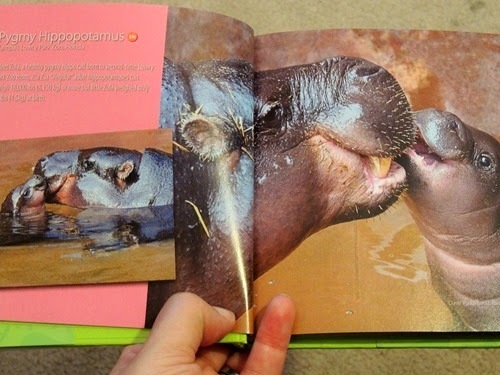 My kids will enjoy looking at the photos and hearing the stories of the animals from all around the world. 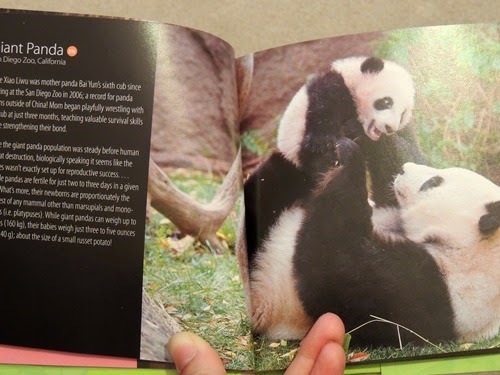 From the Giant Panda at the San Diego Zoo to the South American Tapir at Zoo Salzburg in Austria, each animal is labeled as to whether it is endangered and each page tells a story about its animal. While some of the animals are types we have heard of, there are others that are new to us as well! Thanks to Simon and Schuster, I am giving away two copies of this book! The contest is open to U.S. residents only. Please use the form below to enter! I received a copy of this book in exchange for my review. No other compensation was provided and all opinions are my own.